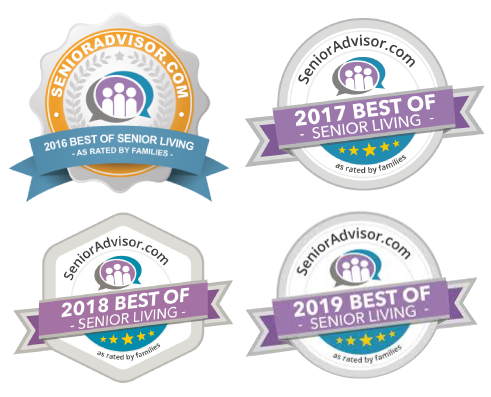 Alzheimer’s and other various types of Dementia are becoming very common and is one of the most feared diseases for people over 65 years of age. Currently in the United States there are over 5 million people who have been diagnosed with Alzheimer’s. Enhancing your understanding of common symptoms, the path for diagnosis and disease progression and the best care and treatment options available are important. 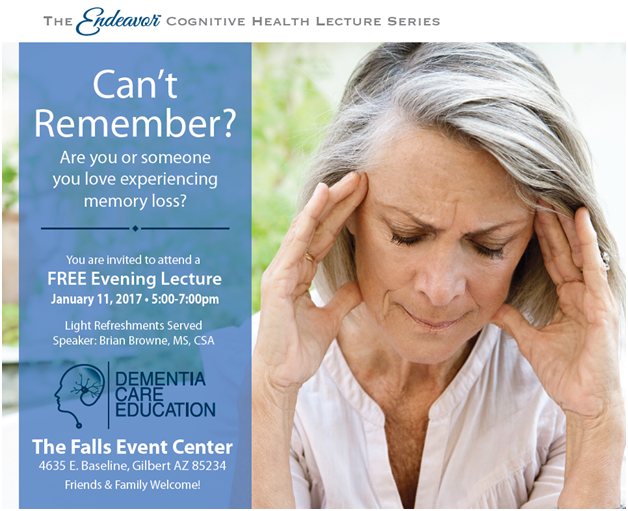 The Endeavor Cognitive Health Lecture Series is once again offering the ABC’s of Alzheimer’s and Dementia lecture topic for the public in Gilbert, AZ. Please join us for a FREE lecture that is open to the public and is meant for medical professionals, caregivers, friends and family who are searching for resources and guidance about cognitive health from an industry expert. Brian Browne experience in cognitive health has made him a frequent lecturer around the country sharing his expertise in dementia care education and training, Alzheimer’s research, and healthy living for the aging. He is the Director of Education and Outreach at Banner Research and the President of Dementia Care Education. Light Refreshments will be served and we ask that you please RSVP by calling 480-498-2324. Endeavor In-Home Care will continue to bring these types of lectures to the public to make needed cognitive resources available. Please contact us for future topics or to share topics that would be beneficial to hear about.